Like good wine, retired teacher Glory Barnabas improves with age. Extraordinarily at 77, after a colourful sprinting career over three decades, she still leads the athletics fraternity. HER name “Glory” made up of just five letters symbolises her dignity and distinction, prestige and praise. The ultimate honour came when she was inducted recently to the Singapore Council of Women’s Organisation’s (SCWO) Hall of Fame. Glory Barnabas was simply overwhelmed when President Halimah Yacob decorated her at an event organised by the SCWO to mark International Women’s Day. “I’m close to speechless and overjoyed to receive this award, decades after my glorious track and field days,” says the 77-year-old Mrs Barnabas, who was part of the “golden generation” of track and field athletes that won numerous medals for Singapore in the 1960s and 1970s. Among the most significant moments of her career was the photo finish that took judges half an hour of discussions before declaring her the 200m champion at the Singapore-hosted 1973 South-east Asian Peninsular (SEAP) Games. She remained the only Singaporean woman to win gold in the event for 42 years. But, on hindsight, it has not been a bed of roses. 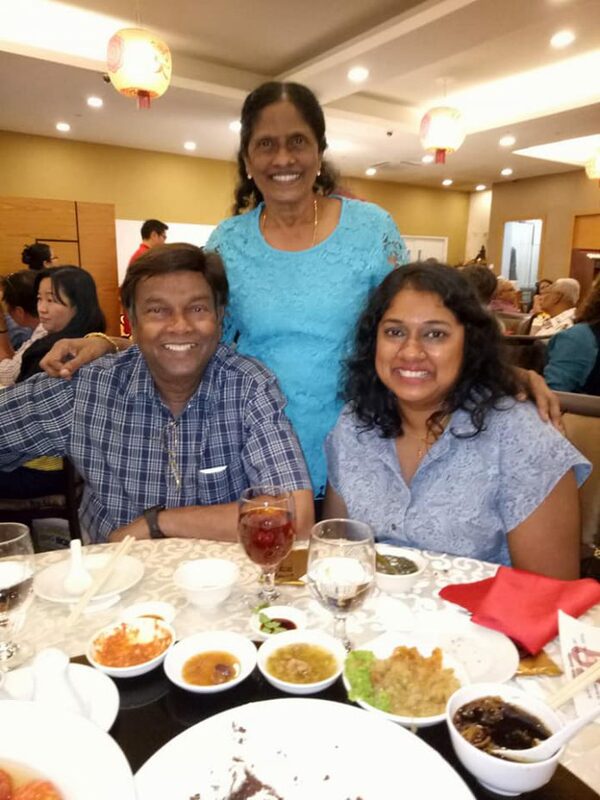 She overcame multiple social and sports prejudices, especially going against the wishes of her strict mother, who had wanted her to stay home like a “good Indian girl”. Perhaps the term “accidental athlete” perfectly fits Barnabas. She had never aspired to be a track runner although as a student, she ran for fun for Paya Lebar Methodist Girls’ School in various inter-school meets. It was at the Teachers’ Training College that she started making the headlines. The year was 1962 and the 21-year-old was training to be a teacher at the college when the women’s 4x100m relay team found that they were one person short for the university meet. Barnabas stepped forward. A debut runner at the meet, she was astonished to be placed in the decisive last leg! That decision proved to be a landmark judgment; when the baton was handed to her, she turned second place to first and her unorthodox running style instantly captured the eyes of teacher-coach Tan Eng Yoon (later to be national track and field coach). The rest, as they say, is inspiring history. She joined the national team to start a fairy-tale “Glory” international track career, where between 1965 and 1977, she took part in every bi-annual SEA (South-East Asia) Games, clinching two golds, six silvers and four bronzes, including her “most momentous” 1974 Asian Games In Teheran, Iran. Marriage, however, proved a blessing in disguise as she found a spouse in Edwin Barnabas — a Raffles Institution athlete who would later become a schoolteacher. He encouraged her to continue her running dreams. The record books show that among the memorable races in Singapore’s track history was her stunning 200m victory in the 1973 SEAP Games on home ground. She was the underdog, making her comeback after a two-year layoff and was up against the much-feared Burmese runner Than Than. Running in Lane 3 on the brick-red tarmac of the National Stadium at Kallang, she could barely see Than in Lane 1 after they flew off the blocks. But, she knew she was running neck-and-neck throughout the race. Her secret to role-model success? Mrs Barnabas retired in 1977 at 36, and took a four-year break before starting to compete in the Masters category, where she continued to find extraordinary success. She competed in the World Masters from 1981 to 2007, except for 2001 when she led her Junior College band to Switzerland for an international competition. Teaching was in her blood. She started at Charlton Primary School in 1961. In 1986, she was posted to Tampines Junior College (TJC) as the physical education (PE) department head. She helped set up the PE Department in this new junior college and continued to serve there until her official retirement in December 2003. Thereafter, she continued to freelance in a number of schools in PE, as well as character and citizenship. She currently serves as president of the Singapore Masters Athletics (SMA) which is the governing body for runners aged 35 and above. A fervent Roman Catholic, Mrs Barnabas, ties up the interview with a sacred line, which sums up her devotional strength and sporting passion: “As long as my Lord Jesus gives me the strength to be healthy and strong, I will participate in athletics. True to her name, she befits the revered honour of her induction to the Singapore Council of Women’s Organisation’s Hall of Fame for women of dignity and distinction, prestige and praise. THAM YEW CHIN, an award-winning writer who has authored more than 200 books. EVELYN NORRIS, an outstanding educator and former principal of Raffles Girls’ School (RGS), was a dynamic and hands-on principal, with tremendous foresight. LIEW YUEN SIEN, another outstanding educator and former Principal of Nanyang Girls’ High School. She remained principal for nearly 40 years, playing a key role in shaping the values and lives of generations of Singapore women. KANDASAMY JAYAMANI, Queen of long-distance running and Singapore’s only female marathon gold medallist. FLORENCE CHUA, the first female Deputy Commissioner of Police and the first women to be appointed as Director of the Criminal Investigation Division after 29 years of service. GAN SIOW HUANG, the first female Brigadier-General in the Singapore Armed Forces. She is now in charge of running all the military airbases in Singapore and ensuring that RSAF aircraft are ready for their daily missions.